A renowned producer of pellets conveyed interest in this new method and tested the quality of the polyamide parts conditioned by this relevant machine – with excellent results. The parts were perfectly conditioned within the predefined short handling time. The quick conditioning of refractory plastics went equally well. Here, hardly any loss of phosphates was measured, which usually poses a problem to conventional processes. This method then was patented and a conditioning unit was developed and constructed. 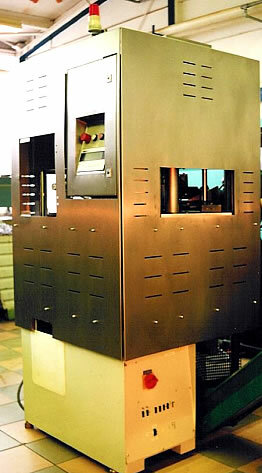 The unit once developed on paper was finally built as a prototype. The method allows for automation of the conditioning process. The conditioning units are still being developed further, and customized. Furthermore, special machinery, functional testers and devices are planned and implemented. In 2000, Konditec GmbH was founded and in 2006, IMA Buscher GmbH took on their products. Our partners (Arge) are the companies Zirbus technology GmbH in Bad Grund and the engineering office of Edmund Buscher in Lambsheim.